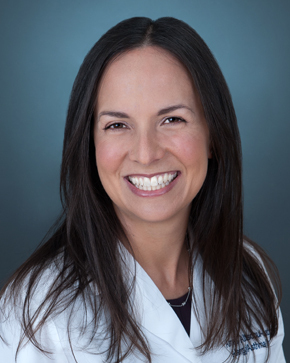 After completing her undergraduate degree at Yale University, Dr. Altschul-Latzman earned her Doctor of Medicine degree at Albert Einstein College of Medicine, where she was elected to AOA, the National Medical Honor Society. She then spent six years at the Mount Sinai Medical Center in New York, NY, where she completed her residency training in Internal Medicine and Pediatrics, followed by her fellowship training in Allergy and Immunology. She is board certified by the American Board of Allergy and Immunology and was also board certified by both the American Board of Internal Medicine and the American Board of Pediatrics. Immediately following her training, she spent five years in private practice in Manhattan. She then moved with her family to Connecticut and spent the past six years in private practice in Fairfield, Connecticut. Dr. Altschul-Latzman is an attending physician at St. Vincent’s Medical Center in Bridgeport, Connecticut. She was also an attending physician at the Mount Sinai Medical Center in New York, NY, for five years. She has a special interest and expertise in food allergies, having completed her fellowship training under world-renowned experts Drs. Hugh Sampson and Scott Sicherer at the Mount Sinai Medical Center in New York City. Dr. Altschul-Latzman authored several original peer-reviewed publications in leading medical journals and educational resources.